Getting away from the hustle and bustle of the city and blend in with nature, KEEP Tent is the best choice for you. KEEP family tent offers an ideal room for 8 people. 3 Queen air mattress or 8 sleeping bags are well fit inside. Brilliant for festival and car camping, the KEEP tent takes only a few simple steps to set up a perfect tent. Snag-free, continuous pole sleeves mean you only have to feed the poles once, shrinking setup time to just 10mins. It is worth mentioning KEEP camping tent is professional in both waterproof & windproof. By a professional water testing, KEEP tent’s waterproof index is over 4000mm. Rain on but stay dry inside. 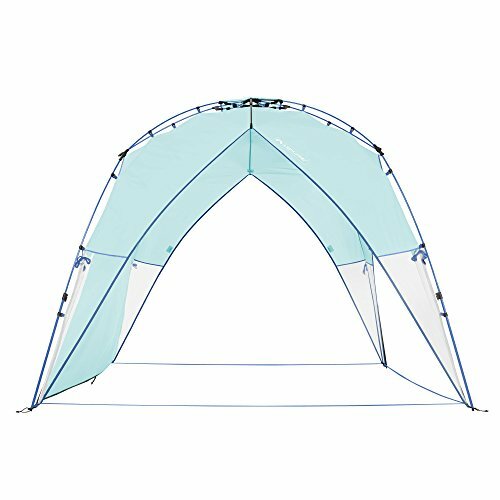 Engineered to be a stronger, more wind-responsive frame with redesigned poles, make this tent more stable in the windy and rainy weather. 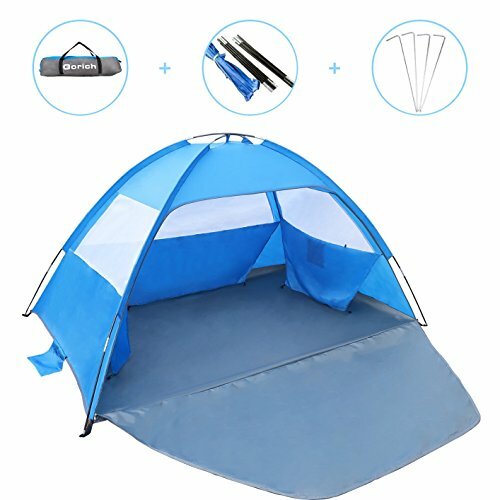 KEEP camping tent is well designed for Ventilation. This tent has 1 larger mesh door, 5 mesh windows & mesh tent top, enable optimal airflow come in and out easily. The mesh windows allow the breeze to come in and keeps the bugs out. 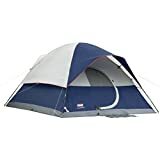 KEEP camping tent is lightweight and portable with a carry bag, ideal for outdoor scout camping, hiking, fishing in fair weather. Making your journey more enjoyable. Smooth & sturdy zippers, never stuck. 2-way zippers make it convenient to get in and out of the tent. The electrical access port lets you run a cord from your device in the tent to an outside power source, while an interior gear pocket helps you keep things organized. KEEP Tent support a 1-year full replacement or refund warranty with 24/7 dedicated customer support. If you have any questions or concerns; please do not hesitate to contact us to get you taken care of and back outdoors with KEEP Tent. 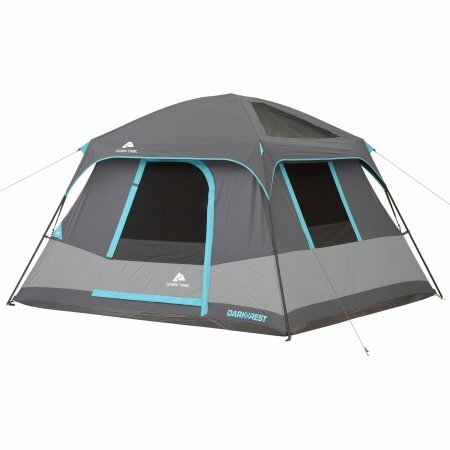 ROOMY FOR 8 – KEEP 8 person tent is the best family tent you will find. 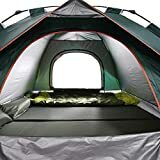 This Tent is very roomy for 8 adults. 3 Queen air mattress are well fit inside, or 8 sleeping bags individually. 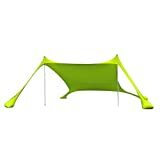 Ideal family tent for car camping or outdoor traveling. 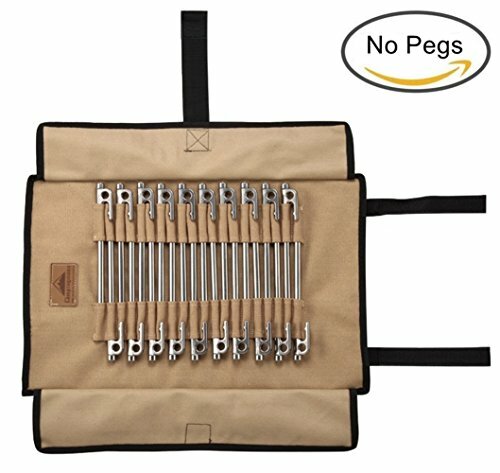 EASY SETUP & SMOOTH ZIP – Easy Install in 10mins. It takes only a few simple steps to set up a perfect tent. Snag-free, continuous pole sleeves mean you only have to feed the poles once, shrinking setup time to just 10 minutes. Much stronger than pop up tents. No particular skills needed. Smooth & sturdy zippers, never stuck. 2-way zippers make it convenient to get in and out of the tent. PROFESSIONAL WATERPROOF & WINDPROOF – By a professional water testing, KEEP family tent’s waterproof index is over 4000mm. Rain on but stay dry inside. Engineered to be a stronger, more wind-responsive frame with redesigned poles, make this tent more stable in the windy and rainy weather. VENTILATION & LIGHTWEIGHT – Get away from the city lights, and you are able to gaze at the Milky Way. 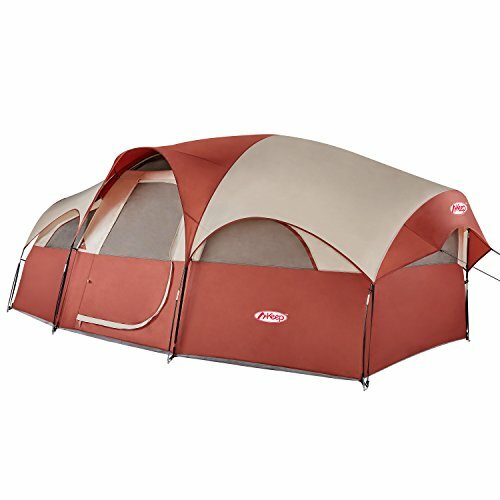 This camping tent has 1 large mesh door, 5 mesh windows & mesh tent top, enable optimal airflow come in and out easily. The mesh windows allow the breeze to come in and keeps the bugs out. KEEP tent is lightweight and portable with a carry bag, ideal for outdoor scout camping, hiking, fishing in fair weather. CONVENIENCE & KEEP PROMISE: The electrical access port lets you run a cord from your device in the tent to an outside power source, while an interior gear pocket helps you keep things organized. KEEP Tent support a 1-year full replacement or refund warranty with 24/7 dedicated customer support. If you have any questions or concerns; please do not hesitate to contact us to get you taken care of and back outdoors with KEEP Camping Tent.